If you cannot squeeze in an extra day or two, you could fake it by pretending you're in your destination time zone while still at home. This suggestion may be particularly helpful if you're traveling with young ones. It's hard to rest and recuperate when you have one or more bright-eyed and bushy-tailed children rearing to go at 4 a.m. once you reach your destination. Other research has investigated the health effects of jet lag by focusing on airline professionals like pilots and flight attendants, who end up struggling with jet lag on a chronic, long-term basis. 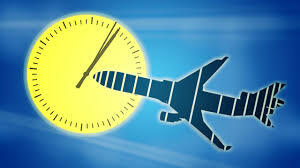 That said, if you're traveling or rotating on and off the night shift, it can definitely be useful for helping you realign your internal clock.According to a 2002 Cochrane Database review, people who traveled across five or more time zones who took melatonin close to bedtime at their destination experienced less severe jet lag symptoms compared to placebo.